Do you like what you see ? YOU SHOULD TRY OUR LIVE DEMO ! WHY DOES OUR PLUGIN MAKE THE DIFFERENCE? Great responsive & customizable streaming-video-playing on your WP website. Easily connect your catalog, use your API key or URLs. Use your own CSS and change anything you want. My portfolio looks exactly how I would like it. This seems like such a good builder and exactly what I’ve been looking for. It works great making nice video galleries. And it works with the Vimeo API Key, so each video gallery I make will automatically update with my Vimeo videos, so it will save me a lot of time. The best video gallery plugin that i found after a day (!!!) of research and tests! Simple, mobile friendly and no need to put a line of code to use it! Love it! Connect your Youtube and/or Vimeo catalog. Your gallery will automatically search for new videos. 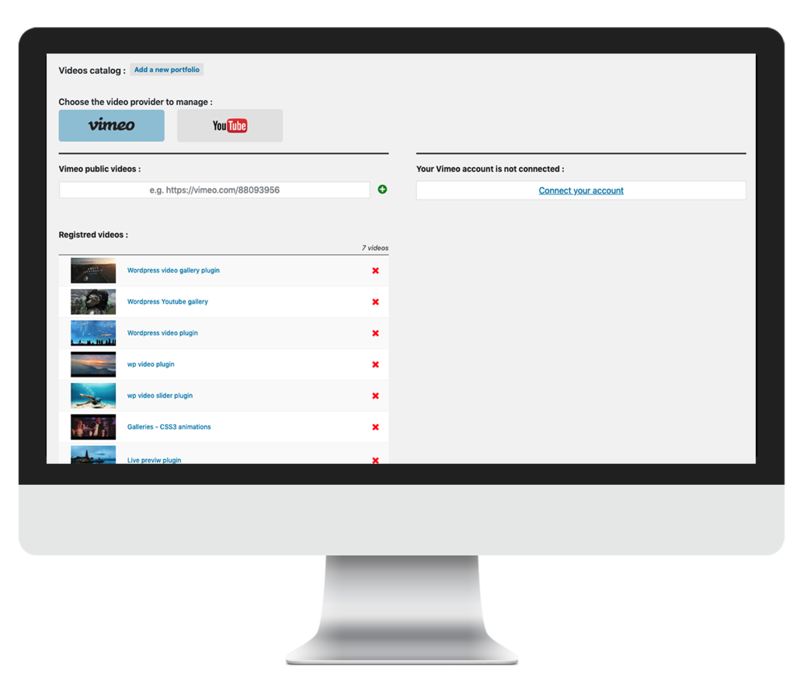 Access your public or private Youtube and Vimeo videos instantly and visually. 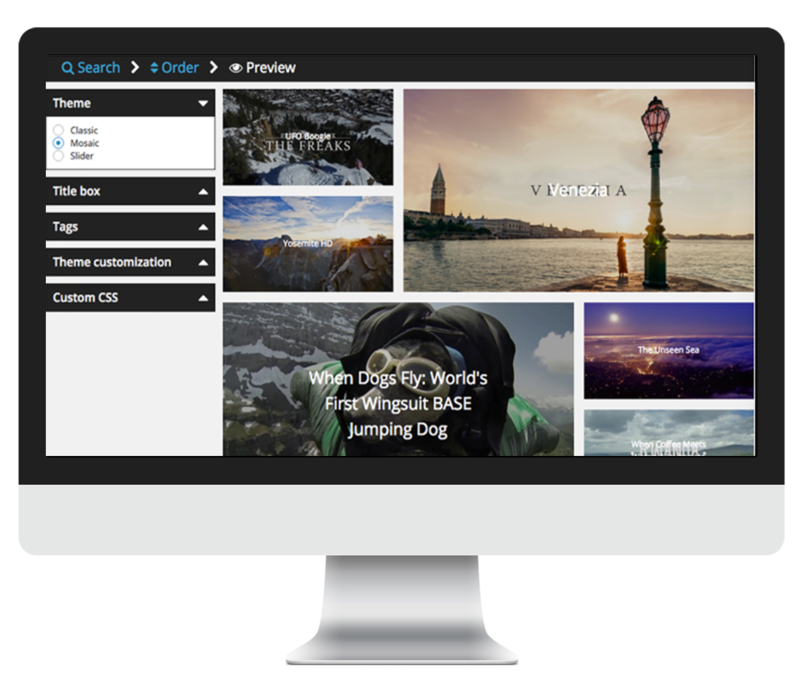 Organize your videos, choose a theme, customize it, and live preview your gallery. 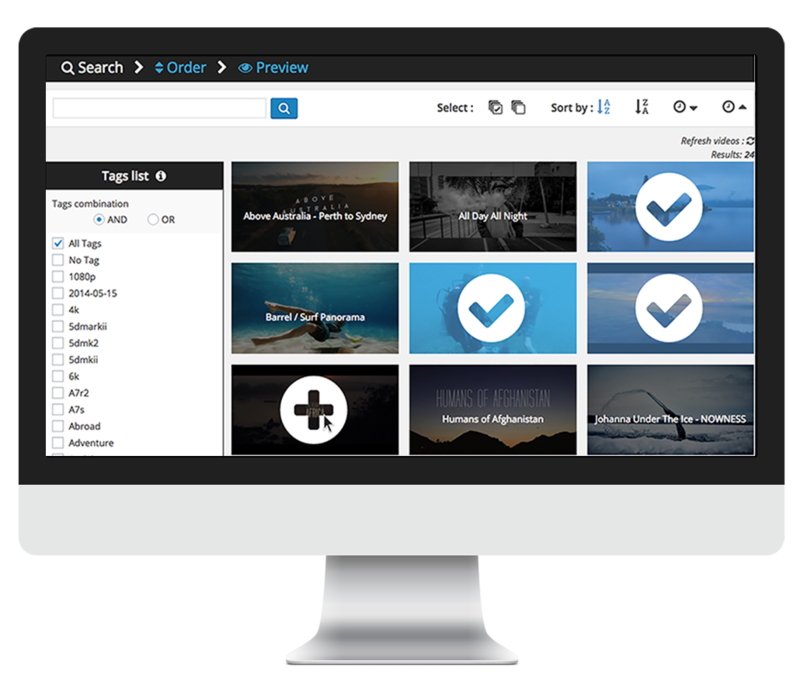 SIMPLIFY YOUR VIDEO GALLERY EXPERIENCE RIGHT NOW!